Bus transportation between Acropolis and INRIA Research Center in Sophia-Antipolis (25km) will be provided. The number of attendees will be limited to 50. Although a preliminary inscription was provided on the registration form, the number of potential attendees exceed by far the possible audience. The organization committee is working on possible solutions. The tour includes a two hours stay at INRIA Sophia Antipolis - Mediterranée Research Centre which is a major player in the ICST research network in the Mediterranean Basin. INRIA, the French National Institute for Research in Computer Science and Control conducts research in the field of Information and Communication Science and Technology (ICST), and more generally in the fields of computer science and modelling. 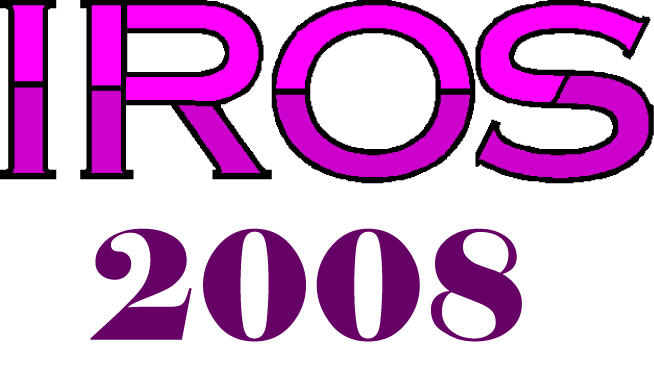 It has extensively supported the organisation of IROS'08. The centre's priority themes are ubiquitous computing (ambient networks, grid computations, security, languages, web) and real-world computations (biomodelling, multiscale analysis, complex forms, environment, inverse problems, medical imaging and robotics).